We are a Husband and Wife - Photography and Videography Team. We can capture your wedding photos and create a wedding film (4-5 minutes) for the price of your average photographer. 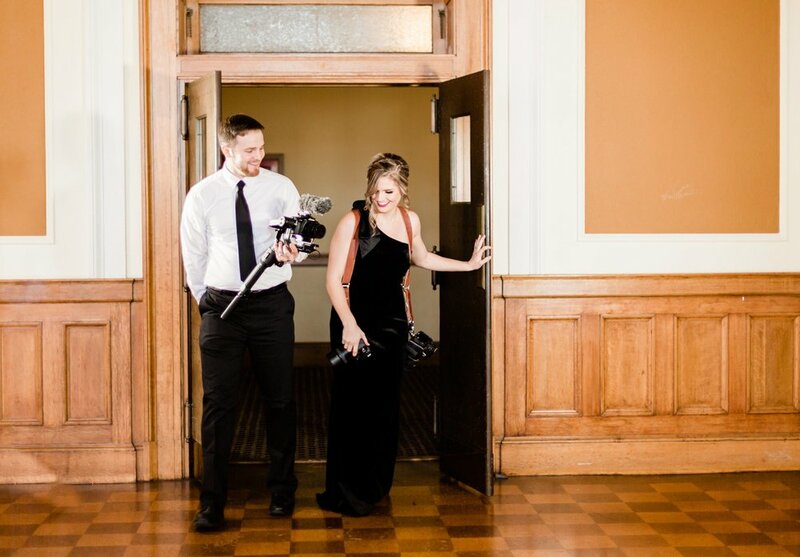 My name is Carla and I am the photographer and my husband is Kam, the videographer! Together we will get you the photos you want and the video you will cherish for a lifetime. We offer much more though, check out our Investments page to see the a la carte options! When you hire us we take every detail very serious, we will start looking over your plans and making sure the sun will be perfect for your big day. Kam and I love going to weddings and we want you and your spouse to feel comfortable around us and during photos. We offer to set up a face time or phone call to make you more comfortable with choosing us. Part of our wedding package includes free Engagement photos or Bridals. It’s very important to us that you have a chance to meet us and learn some of our posing techniques so that on wedding day we aren’t learning each other and making photos awkward and stressful. Our booking is SO simple! When you are ready to reserve your date with us, we will send you a contract via Facebook Messenger or Email and you will make a 20% down payment. Once that is made the rest will come out a week before the wedding. Travel Fees…we do have travel fees 100 miles outside of Jonesboro, Arkansas. This is not a way to add more money!! We only have travel fees because we know outside 100 miles we are spending unexpected money on gas and possibly hotel. We are upfront and will charge exactly what a hotel room is in your area and gas as well. Be sure to Contact Us with any questions. We look forward to hearing from you!